The unique skills and perspectives that an Anthropology degree provides is an understanding about how we are all shaped by the cultural, social, political, and historical contexts in which we live. Our anthropological research and graduate training program includes the archaeological, biological, and social cultural subfields. Discover our state of the art teaching and research facilities. What our researchers share in common is a commitment to discovery. Through smart collaboration we are continuously expanding our depth and breadth of knowledge and exploring new ways of contributing to a brighter world. On behalf of the Faculty of Social Sciences, we wish to extend our warmest congratulations to all of the recipients in our Faculty of Social Sciences academic awards. You, your family and friends should be proud of your accomplishments. A series of career events featuring alumni, profs, workshops, panels & more! Open to all Social Sciences students. You don’t need to break your bones to become an expert on ancient injuries. But for Rebecca Gilmour, repeated fractures are part of her enduring fascination with bone trauma. The Faculty of Social Sciences will host its annual Level II Showcase for Level I students on Thursday, March 7, from 11:30 a.m. to 2:30 p.m. in the L.R. Wilson Hall Lobby. Some call her a master networker or master mentor. She prefers being called a proud alumna. She wants to give back and help inspire the next generation of leaders by sharing lessons learned in the world of work to help prepare students to stand out in a crowded job market. 2018 was a good year for books! Faculty members from across the Social Sciences wrote, edited and contributed chapters to a wide range of topics including a tale of fighting Hitler, an examination of the wage crisis in Australia, insights into international relations, women's political rights and thoughtful look at Russia through the lens of and Anthropologist . This reading week engage your mind with our list of some best social sciences books of 2018! The 3-year BA program will provide students with a foundation in the field of Anthropology and its main subfields. The BA Honours program will provide students with a developed understanding of the discipline of Anthropology and its main subfields. Emphasis is placed on critical thinking, communication, and problem solving, all of which are identified by potential employers as key skills needed for successful employment. Students graduate with a double major in Anthropology and another subject. 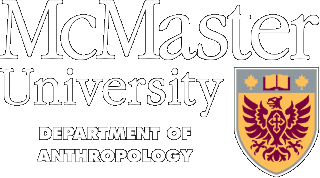 The minor in Anthropology provides students in other disciplines the opportunity to learn about anthropological research, cross-cultural differences, and provides a broad understanding of the experience of being human. The Interdisciplinary Minor in Archaeology is based on archaeology and archaeology-related courses offered in the School of Geography and Earth Sciences, and in the Departments of Classics and Anthropology. The department grants an M.A. in Anthropology in the following areas of specialization: Archaeology, Health, Biological, and Cultural. Students admitted to the M.A. program have the option of doing coursework and then 1) writing a MRP (1-year), or 2) writing a scholarly thesis (2-year) which demonstrates ability to conduct original research. Admission to the doctoral program is very competitive and is based on a consideration of demonstrated scholarly excellence, suitability of research interests, availability of appropriate supervision, and availability of openings. Most successful applicants have sufficient background in their area of specialization within anthropology to benefit from advanced training in the field.